Welcome to the Manhattan Chamber of Commerce Manhattan Chamber of Commerce (MCC) is a vibrant business membership organization comprised of a cross section of 10,000 business members and subscribers ranging from sole proprietors to large corporations and multi-national firms. Connect with entrepreneurs, leaders and executives by becoming an MCC member today and help your business grow. 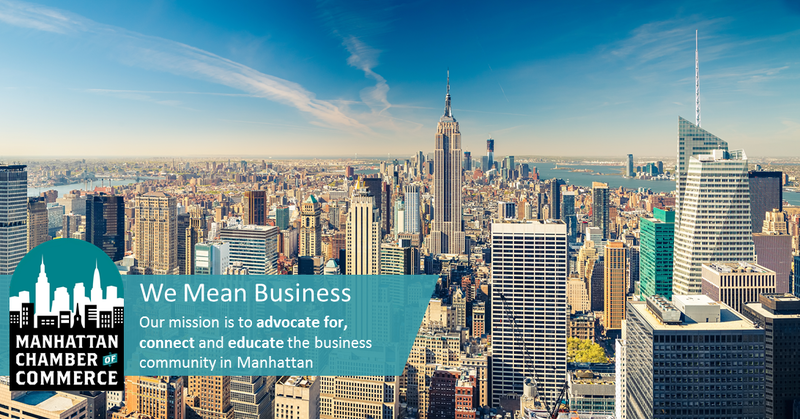 Our mission is to advocate for, connect and educate the business community in Manhattan. We thank MCC Bronze Partner Manhattan MiniStorage for their support! Contact the Manhattan Chamber of Commerce by calling 212-473-7875 or by sending an email to info@manhattancc.org. We are looking forward to hearing from you. 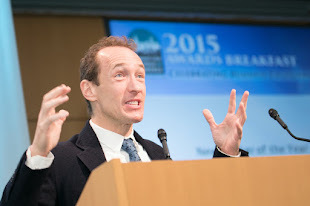 Jeffrey Seller, Producer of Hamilton, accepting the MCC New Yorker of the Year 2015 Award at our Annual Awards Breakfast hosted at Con Edison. A fascinating discussion on the Largest Corporate Takeover: The Presidential Tranisition. Featuring Jim Quigley, Gary Ginsberg and Max Stier. Moderated by the Chairman of the Board, Ken Biberaj. An exciting international networking event for young professionals in Manhattan. Jeff Buchan and Google hosted a Data-Driven Innovation event with 15 leading professionals as panelists. Manhattan Chamber of Commerce. All rights reserved. Simple theme. Powered by Blogger.